Social Media can get you fired. But it can also get you hired! 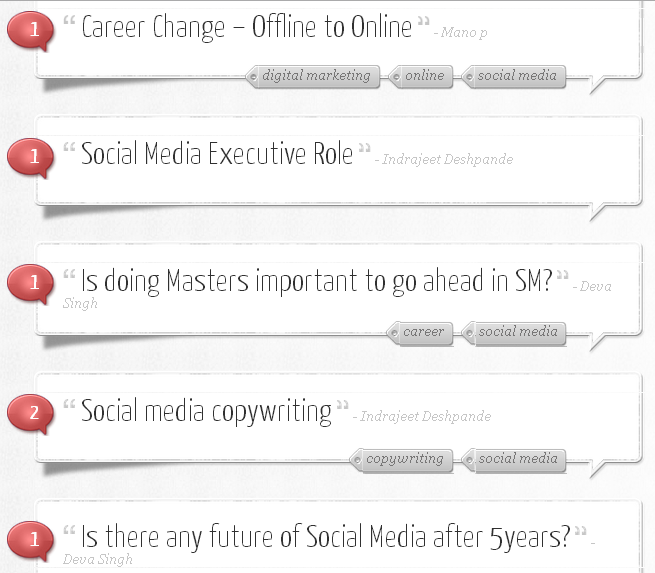 A lot of Graduates have a tough time figuring out Social Media as a career option. 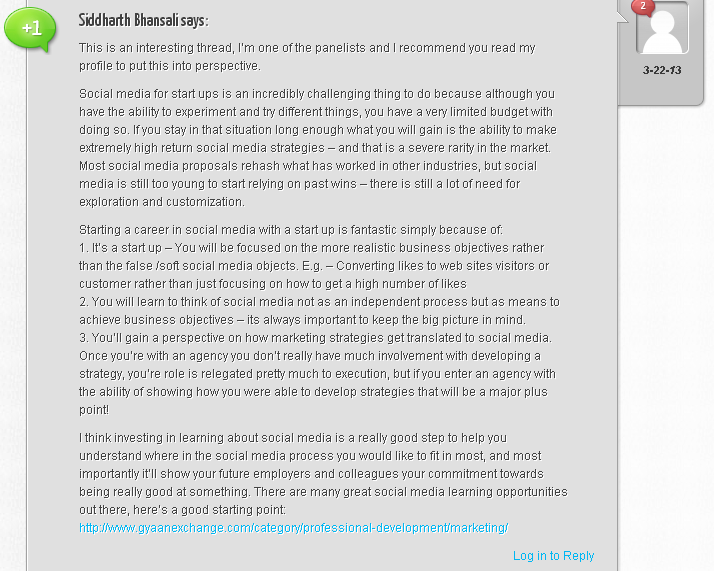 A a result, Social Samosa had come up with a 2-day Social Media Career Q&A activity where one could join in and ask away all their questions about how one can build a career in social media to an expert panelists. The event was an online activity on March 22nd and 23rd and we received a great response from students across the country. The questions were answered by esteemed panelists. The event immensely helped a lot of students, freshers, people wanting to shift their career, with the right guidance from experts as how to go about in the social sphere. Listing some of the questions here, all other questions and detailed answers can be found on the ask forum. The session was powered by Gyaanexchange.com & Northpoint Centre of Learning. And we are proud to be supported by Education Times, LetsIntern, BMS.co.in, BMMBox, BMM.co.in and National Entrepreneurship Network. 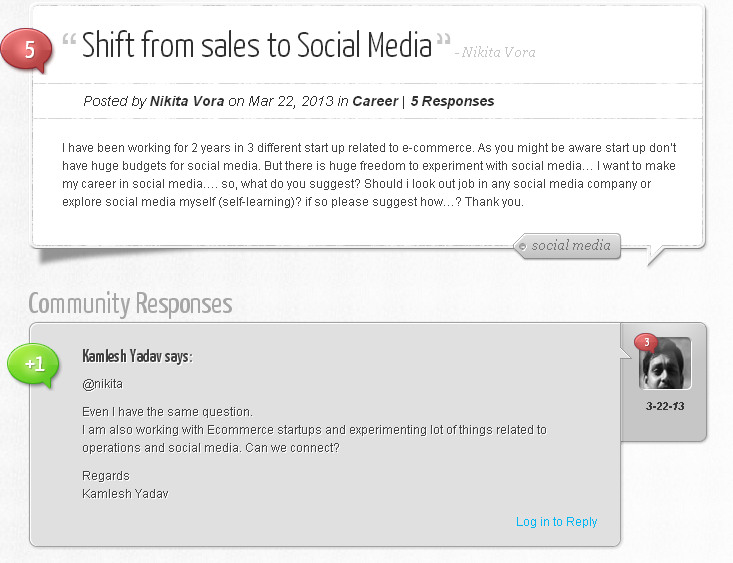 The ask forum is now open for everyone, to ask questions related to Social Media, be it the New graph Search, Edge rank, or Social Media for b2b.